In the past thirty years, I’ve entered the waters of the Outer Banks more than once with a mission to catch some waves, but I’ve had minimal success. This time, however, was different. 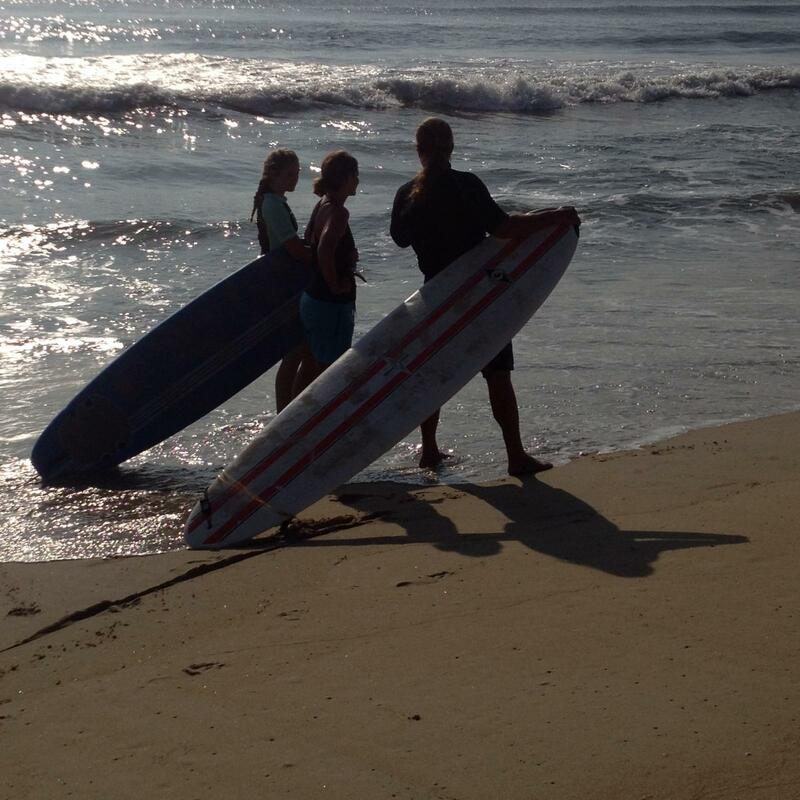 With three teens also eager to learn, I headed to Scammell’s Corner Surf Shop for a lesson with Mark and Josh. 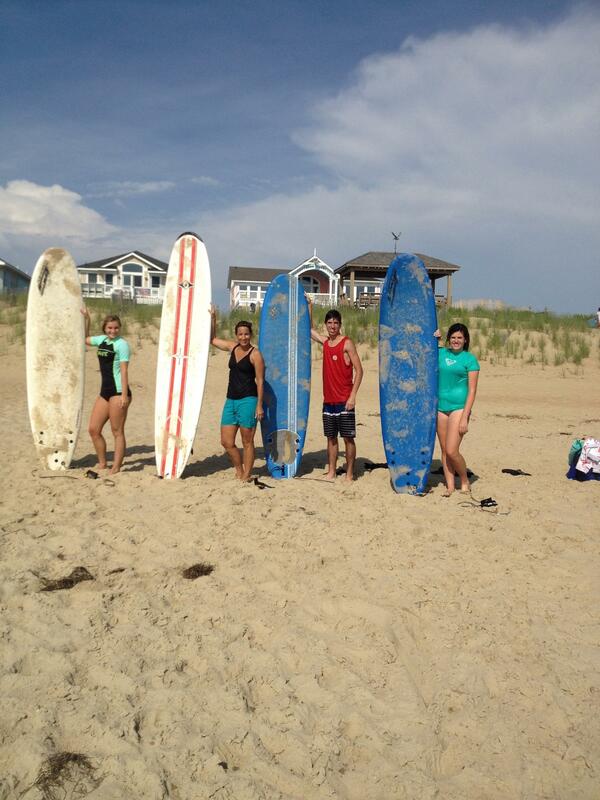 Josh introduced us to the basics of surfing then loaded us up with boards and took us to the beach. His dad, Mark, was already at the shore and enjoying some downtime after spending the start of the day in the water. We all stretched and then split into two groups before heading out. I think Jake got it on the first try. It was fun watching him progress so comfortably. Jordan also found success with getting up and riding the wave to shore. My cousin Kelsey also progressed from riding the wave on her knees to eventually standing and taking it all the way in. Personally, I was surprised with my ability to get up on the board and feel comfortable on it as the wave carried me forward. I got a kick out of an older woman sitting at the shore and celebrating with me on my first long ride. She too pumped her arms in the air and smiled widely. It was like I was looking into a mirror. Yes, I’m in my mid-forties, but I can still hang with the young people! Let’s not ever let age determine our eligibility for trying new things. We just had a one-hour fun-filled lesson! So, next time you’re in the Outer Banks, visit our friends at Scammell’s. Even if time in the water is not on your agenda, you’ll enjoy treating yourself at their ice cream shop! Matt serves up the dairy delight with a song! Fun times all around!